One of my absolute favourite places to travel with kids is the USA. There are so many things to love about this country – from the beautiful natural attractions to the bustling cities to many interesting historic attractions to the friendly people. I could never get tired of exploring the massive variety of activities and attractions in one of the world’s biggest countries. The contrast between different areas and people is huge. I also love all the kid friendly attractions and I am not just talking Disney World. My daughter still wants to go back for more children’s museums and we just found so many cool things to do from the quirky to the ordinary, we loved it all. The USA was the first country I visited at 9 months old and also the first place I ventured alone at 18. I have been back many times since although, until the last time, I stuck to the big, well known places like San Francisco, New York and Las Vegas. Our Deep South road trip at the end of 2013 really opened our eyes to just how much there is to see and do in the USA and the fact that although those big cities and attractions are amazing, there is also nothing like venturing off the beaten track, seeing the random and the wacky and having a slice of ice box pie at a local diner. Whether you are from the USA or not, I think the sheer amount of places to visit in the USA can be overwhelming. It is such a big country with so many different attractions to explore. 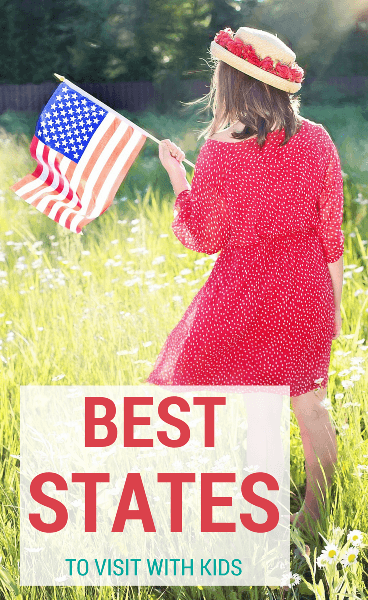 To this end, I invited some of my blogging friends to create this list with me of the best USA states to visit with kids. 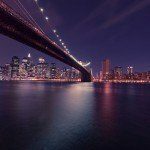 I hope this list will help inspire you to see more of the USA or if, like me, you come from elsewhere, to get over to the States and explore past the big cities. You won’t regret it! When people ask me for budget-friendly family vacation ideas, I’m quick to recommend Alabama. Huntsville, located in the foothills of the Appalachians, is home to the U.S. Space and Rocket Center and has theater, great parks, eclectic cuisine, history and children’s museums. Birmingham, in the heart of the state, has seen its share of history, and her parks, monuments and museums tell the Civil Rights story in a way no other place can. Sports, the arts and Michelin star rated restaurants add to a memorable Birmingham vacation. The Gulf Shore, with 60 miles of wide, sandy beaches offers everything you could want for a beach vacation, at a budget-friendly price. Top Travel Tip: Wherever you go in Alabama, be sure to enjoy some barbecue at a “joint” the locals recommend. 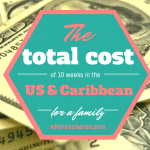 Contributed by Karen from Family Travels on a Budget. 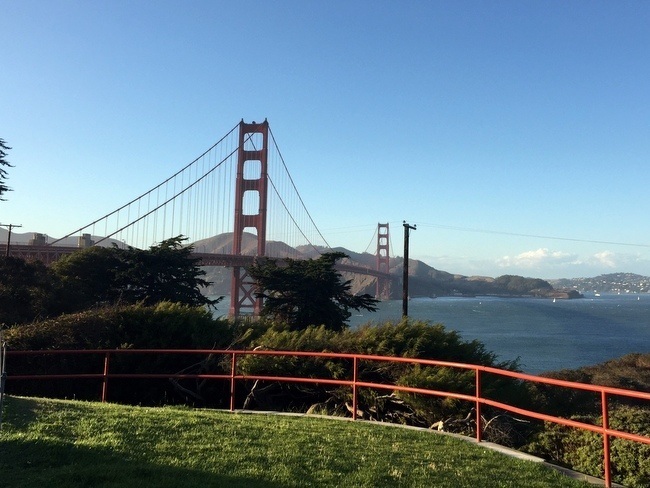 California is much more than just theme park: there are the beautiful beaches, the amazing wine country, the enchanting redwood forest, the picturesque Lake Tahoe, and the San-Francisco Bay Area. And that is just a few of the highlights! There is so much to see and do that you can easily spend a month exploring the state. There are activities for kids of all ages: visit Hollywood, or Long Beach, or Redwood National park, or San-Francisco, or Lake Tahoe, or Napa Valley, or Yosemite National Park. For some more excitement, consider attending a sports event. There are several professional baseball, soccer, football, basketball and hockey teams across the state. Top Travel Tip: California is a very large state so if you have limited time I would not suggest trying to see everything. It just takes too long to get from place to place and traffic is very congested in the metropolitan areas. But if driving is on your itinerary, Hwy 101 from San-Francisco north through the wine country and the Redwood forest is an amazing scenic drive that eventually meets up with Oregon. And for a thrill for the kids, don’t miss driving the hills in San-Francisco and “Lombard St” the crookedness street in the world. Contributed by Lindsay of Carpe Diem OUR Way. A Colorado vacation inspires families with its majestic Rocky Mountains and rugged peaks, blue skies and sunrises that seem to paint the sky. Pick a season, any season and you’ll discover dozens of reasons why Colorado is a four season family vacation. Here’s why: 4 National Parks, 8 National Monuments, 10 Scenic & Historic Railroads, 26 Scenic & History Byways, 27 Hot Springs, 42 National Parks, 58 Fourteeners, 965 wildlife species, 1,500 Ghost Towns, 6,000 miles of river, and so much more. 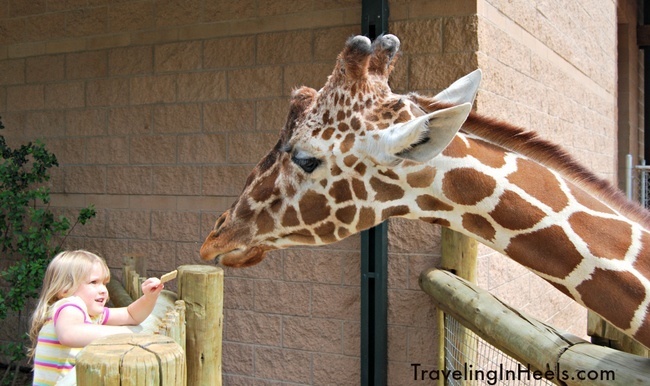 Top Travel Tip: with 25 of the region’s best attractions from Pikes Peak to Garden of the Gods to the Cheyenne Mountain Zoo, begin your family adventure in Colorado Springs. Contributed by Diana of TravelingInHeels.com. Some people might say Dela “where?” but don’t be fooled; it’s a state big on fun, especially in the summer! 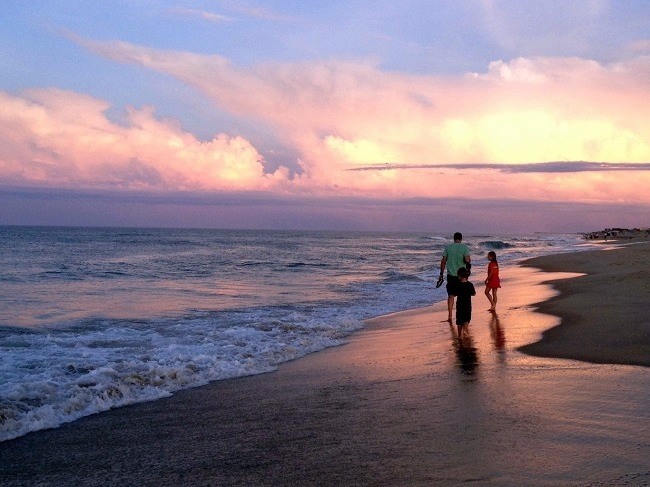 Our favorite spot for an old-fashioned family vacation is Rehoboth Beach, known as the “Nation’s Summer Capital.” Rent a house, hang out on the beach, camp at Cape Henlopen State Park or try your hand at stand-up paddleboarding. Enjoy local foods like Grotto Pizza, Thrasher’s French Fries and caramel popcorn from Dolle’s while strolling along the boardwalk. At night, take the kids to Funland, which has been around since 1962. Fifty ride tickets for just $15 – what a deal! If awesome beach fun is not enough, explore the rest of the state by downloading your favorite Trail of Discovery from the Delaware tourism website. Enjoy the outdoors, learn about history, find hidden geocaches, or indulge in local food and spirits. Whatever path you choose, keep in mind that Delaware is small so you can easily drive around and explore this gem of a state. It’s also convenient to the major east coast cities of Washington, DC and Philadelphia. 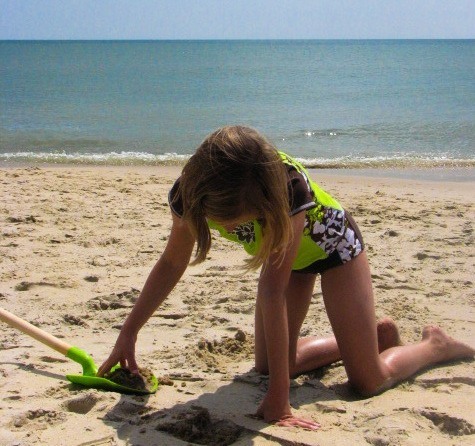 Top Travel Tip: September is a wonderful month at the beach, especially with young kids. The crowds have thinned down, rental prices have decreased and the ocean temperatures are perfect. Florida is our favourite destination in the U.S. because we can enjoy the beautiful beaches, thrilling theme parks and fabulous outlet shopping all in one trip. 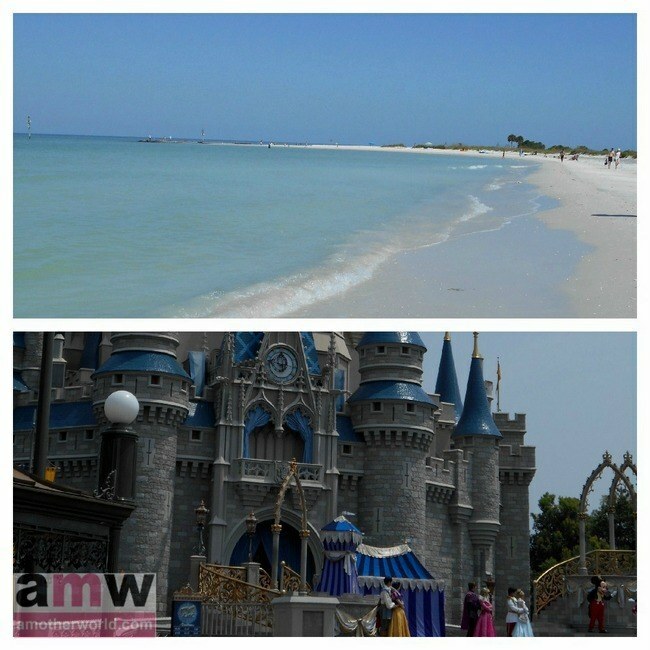 Choose a beach destination for part of your trip, and then visit Orlando for a few days to get your theme park fix. 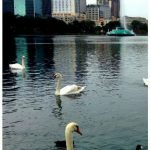 You can save money by renting a condo or home by the beach through Airbnb or Bookings.com, and then go all out for one or two nights in Orlando at a luxury resort. 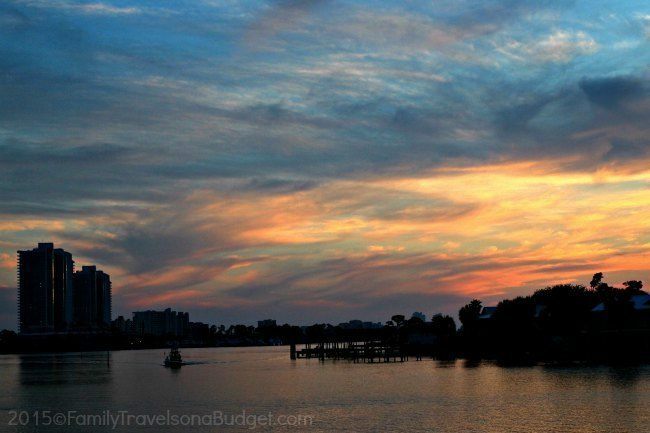 Top Travel Tip: Renting a car is a must to see all Florida has to offer. Contributed by Maria of AMotherWorld. We might be biased in picking Hawaii because it’s our home state, but based on recent our world travels, it really is one of the best places in the world for a family vacation. Usually, the first thing that comes to a person’s mind when you say Hawaii is; Sun, sand and surf! But, there’s so much more for everyone to enjoy. First, we wouldn’t be true foodies if we didn’t advocate for the diverse culinary options you find in Hawaii. The influx of immigrants from Asia means we have some of the best, authentic restaurants serving up Korean, Japanese, Filipino and Chinese cuisines. A visit to the neighboring islands also means you can taste native Hawaiian dishes such as poi, lau lau and kalua pig. Hawaii is also rich in tradition and culture. The Polynesian Culture Center or Bishop Museum is a great way for the entire family to learn about it’s culture, arts and the people of Polynesia. When we’re not at the beach, we’re out hiking and exploring our beautiful islands. O’ahu alone is home to over 50 trails ranging from easy, like Waimea Falls to more challenging trails such as Koko Head Crater. No matter which one you choose you’re sure to enjoy the island’s natural beauty. 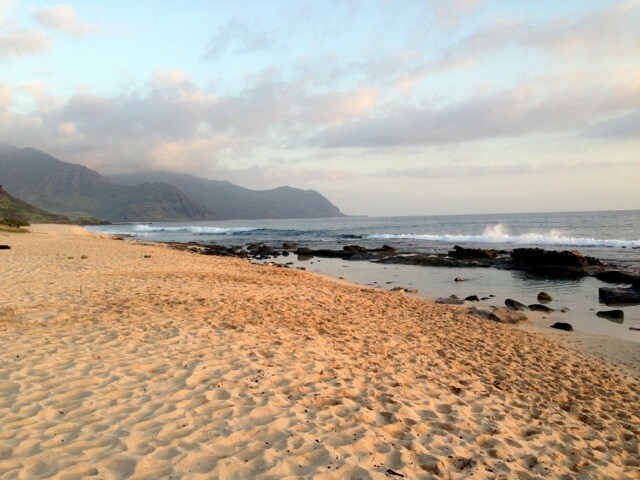 Top Travel Tip: The best time to travel to Hawaii is during the off-season. June, July and August are over-crowded with tourists and the prices of hotels are doubled. Contributed by Wendy of PintSize Gourmets. Illinois is the heart of America and if you haven’t visited, what are your waiting for? From the shores of Lake Michigan to the banks of the Mississippi, Illinois offers visitors a variety of experiences, including cruising iconic Route 66 and hiking the trails of Starved Rock State Park. Throw in six major league sporting teams, world class museums and restaurants, wine trails, and stunning architecture, and you have barely scratched the surface of The Prairie State. Illinois offers something for everyone, and if it’s not on your bucket list, it’s time to put it at the top. Contributed by Kirsten of Kids are a Trip. Looking for coastal scenery, local foods and products and friendly folks? You need look no further than Maine. The north-easternmost state in the US is equal parts rugged, gorgeous seaside and small town charm, offering a multitude of year-round activities. Ski or sled in the winter, swim or boat in the summer, and hike year-round. 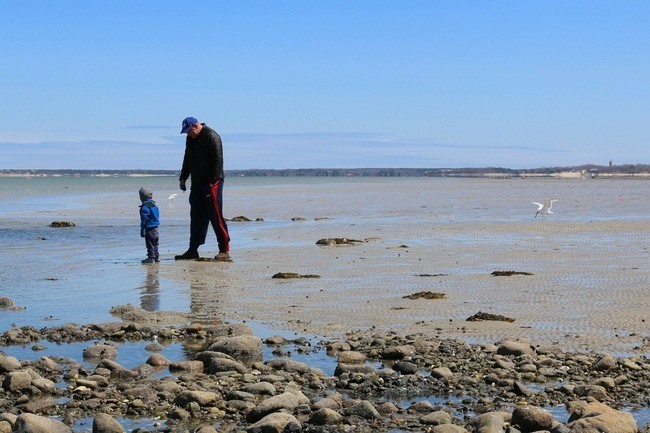 Eating and shopping count as activities as well and you can’t find fresher seafood than in Maine. Coupled with the growing “Made in Maine” movement that has folks setting up shop and turning out amazing handcrafted products and you’ve got a must-visit for any US-bound family. Contributed by Kara of Our Whole Village. Maryland is a great state to visit with kids for multiple reasons. One of the main reasons is it’s proximity to other states and the nation’s capital. One of our favorite places is Baltimore, it’s home of the Maryland Zoo at Baltimore, the National Aquarium, the Orioles and the Baltimore Ravens. 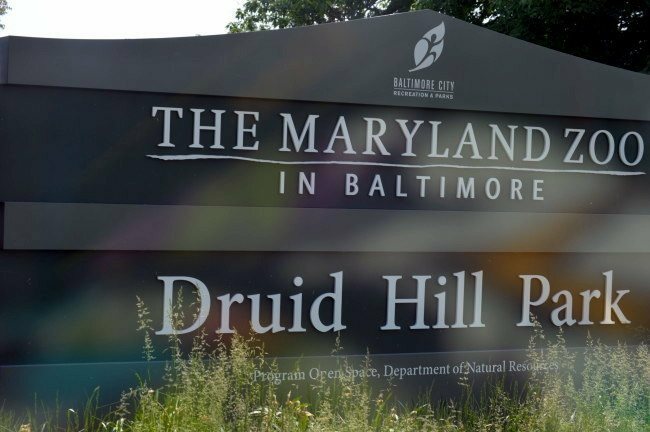 Maryland is also home to several state parks for affordable hiking, a picnic and having fun during the hot summer months. Visitors to Maryland that are looking for some time at the beach could head down to Ocean City and enjoy the boardwalk or travel the the state capital of Annapolis for a relaxing day of shopping, great food and a lesson in politics. If you’re traveling to the area and want to cover a few states, a great tip about staying in Maryland is how close it is to DC, Delaware and Pennsylvania depending on where you are in the state. Baltimore in particular is a perfect center point for not only exploring Maryland but other surrounding states as well. The drive to DC is just an hour from Baltimore so travelers could easily add it to their itinerary without breaking their budgets. 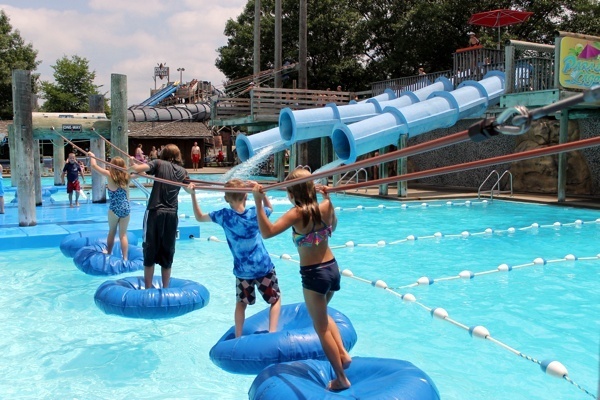 Maryland offers a wide variety of attractions for families including Six Flags, and each area of the state has something different to offer travelers. Top Travel Tip: If you travel to Maryland visit in the fall, Downtown Baltimore offers reduced admission to attractions including the National Aquarium and local museums. Contributed by Nickida of Nicki’s Random Musings. Massachusetts is a fantastic destination for families. It is a tiny state that packs a big vacation punch: history, beaches, mountains, and incredible family hotels. Head to Boston’s waterfront and join a reenactment of the famous Tea Party, go clamming, whale or seal watching in Cape Cod, enjoy incredible architecture and museums of the Berkshires nestled in between family farms. And you’re never far from an incredible homemade ice cream store anywhere in the state. 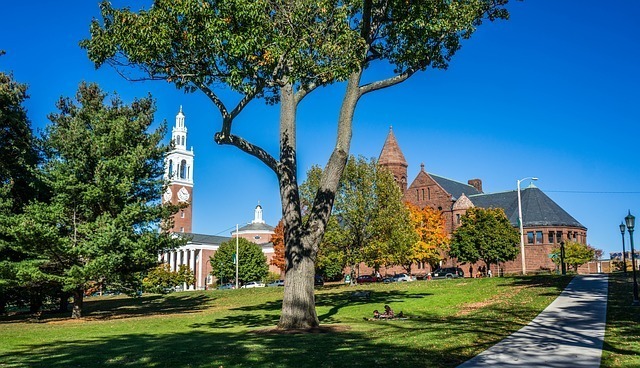 Top Travel Tip: To get great deals, travel to Cape Cod and island beaches in the fall, the Berkshires in early summer, and enjoy Boston year-round. Contributed by Robin of Luxe Recess. With a healthy combination of outdoor recreation activities and world-class cultural offerings, Michigan truly is an ideal family travel destination. It is vast, it is diverse, and it is beautiful. Known as The Great Lakes State, Michigan’s shores touch four of the five Great Lakes, and there are more than 11,000 lakes within the state, all of which provide countless hours of year-round family fun. Michigan is also home to a well-maintained network of State Parks, as well as five National Park Service units. 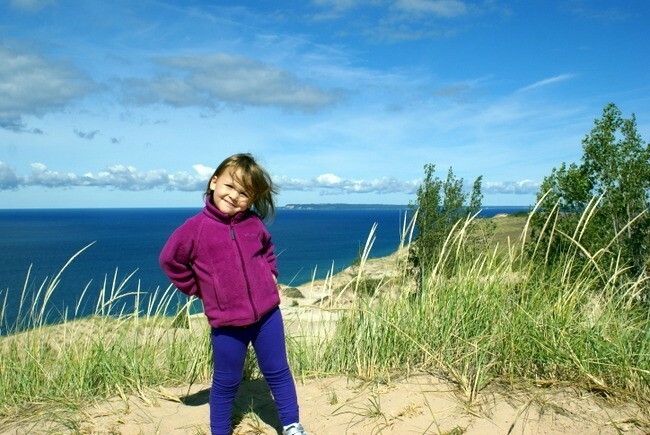 Michigan is the outdoor family’s dream! For the more urban family, cultural experiences abound in cities like Grand Rapids and Detroit (yes, Detroit! ): top-rated museums, flourishing art scenes, and professional sporting events. Top Travel Tip: To experience fall colors that rival New England’s without the crowds and hefty prices, visit Michigan’s Upper Peninsula (U.P.). The spectacular foliage contrasts beautifully with the rugged lakeshore terrain. Use Marquette, the largest city in the U.P., as the base for the fall foliage adventure. 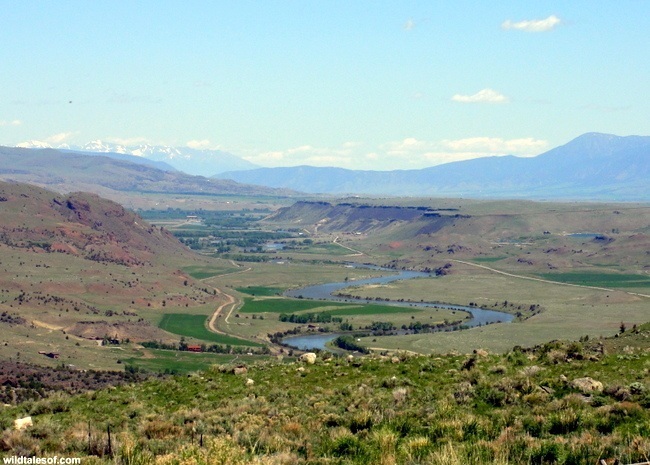 Wide open spaces to stretch out, roam, and explore, Montana has a lot to offer for families wanting to travel and experience adventure. The state boasts two of the most beautiful National Parks (Yellowstone and Glacier) in the country, several small charming cities, and some of the nicest, most hospitable people you’ll ever meet. When you travel to Montana, you feel welcome and right at home. And to top it all off? Once you arrive, you won’t have to pay an arm and a leg for lodging, meals, and activities. Big Sky Country is as much affordable as it is lovely, making it one of our favorite family travel destinations! Top Travel Tip: To experience less crowds at the National Parks, consider visiting Montana in September. Nice weather is still happening, but you won’t be sharing all your memories with loads of other travelers. However, to truly enjoy Montana’s mountain lakes, you must visit in July or August! Many people think of our nation’s center state as flat and boring when in fact the elevation across Nebraska changes almost 3,000 feet. 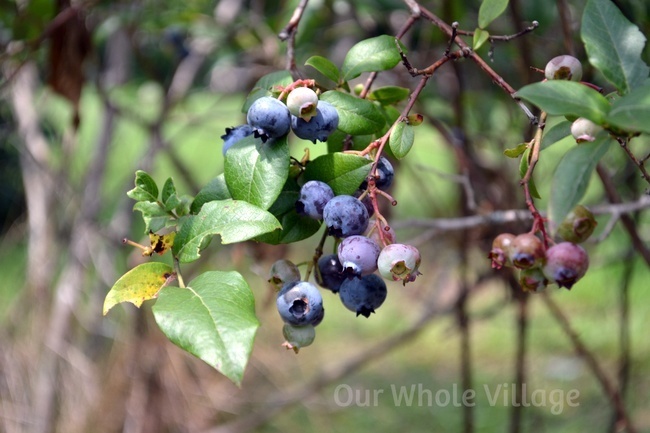 “The Good Life” state is fabulous for children because there is plenty of room to roam. From the Sandhills to the Wildcat Hills to the bluffs and the prairies, Nebraska actually has a variety of landscapes. The Eastern metro areas (Omaha/Lincoln) zoos and children’s museums are also worth a stop. Top Travel Tip: due to winter inaccessibility, certain parts of the state close down during winter, so you will want to check before traveling to especially western destinations. Visit Nebraska, Visit Nice. 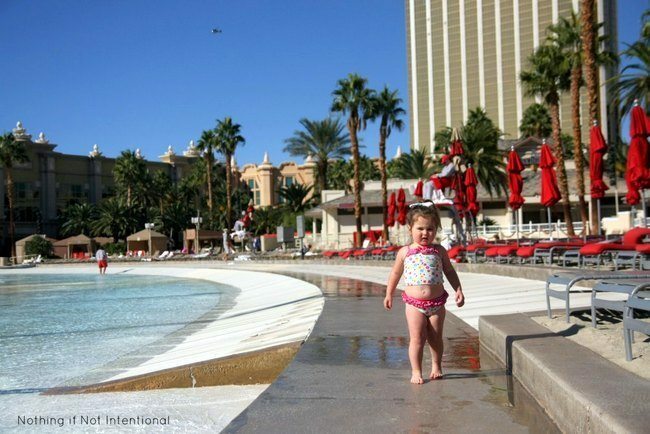 Las Vegas, Nevada isn’t known for its family-friendliness, but there is actually quite a lot to do in Vegas with kids! The famous hotels are interesting and fun to explore with kids of all ages, and the hotel pools are some of the best in U.S. At many of the Vegas resorts, you can find real sand, wave pools, and lazy rivers. There are also several attractions (including big cats, sea creatures, and magic shows) that provide great entertainment for families. Contributed by Rachael of Nothing if Not Intentional. New York offers a variety of experiences for your family to visit. You have the beaches of Long Island, the mountain peaks of “upstate,” and the urban excitement of New York City. It’s hard to condense it into a paragraph, but everywhere you go, you will find culture. New York is ripe with museums, theaters, historical landmarks, and small shops. It’s the state that many an immigrant took refuge, which also makes it a wonderful mix of cultures from around the world. You could essentially visit over 100 countries without having to ever leave NY. 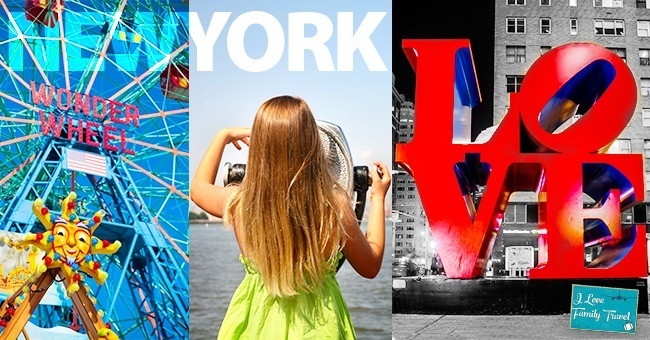 Top Travel Tip: Decide the kind of adventure you’d like to have in NY and then plan it. Chances are that you can find most any type of family trip, whether it be camping, a cabin on the lake, a beach house, a high rise, or even an inn. Contributed by Heather of I Love Family Travel. It’s rare that a destination blows me away, but I was absolutely swept off my feet by North Carolina. The beaches of the Outer Banks are uncrowded, unpretentious, clean and beautiful. Charming Raleigh’s world-class museums are free to enter, and my kids adored the lovely Pullen Park. We relived movie race car magic with a trip to the Charlotte Motor Speedway, and the city of Charlotte is not only home to the NASCAR museum and amazing US National Whitewater Center, but budding family foodies will appreciate the 7th Street Public Market. We finished our odyssey in the forests and hills of Transylvania County and the small town of Brevard. We’re already planning our next visit to North Carolina, and I just might have peeked at real estate listings since returning home. 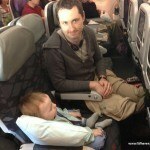 Contributed by Corinne of Have Baby Will Travel. Tugging at Lake Erie in the North and following Ohio River to the South, the state of Ohio includes a patchwork of farms, small towns and large cities along with 83 state parks and a national park. For families, there are a variety of different types of experiences. Begin in northeastern Ohio by exploring Cleveland’s famed West Side Market, an outdoor and indoor market of over 100 food vendors—my recommendation would be the multi-layered chocolate monk cake from Theresa’s Bakery or warm brats from Frank’s Bratwurst. Further west, Cedar Point draws thrill seekers and has the title of the Best Amusement Park in the world. 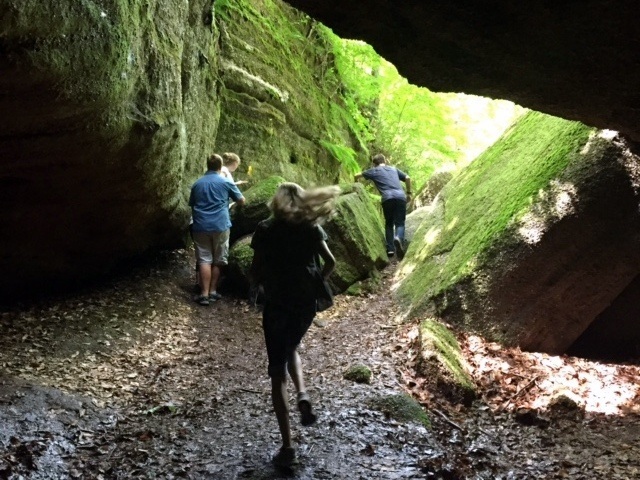 Head outside to enjoy the trails that wind through more than 20,000 acres of the Cuyahoga National Park. Whatever your family’s interests, there’s something waiting for them in Ohio! Contributed by Kristen of My Kids Eat Squid. I love vacationing in Pennsylvania with the kids because of all the history lessons I can give them combined with plenty of other fun vacation attractions. 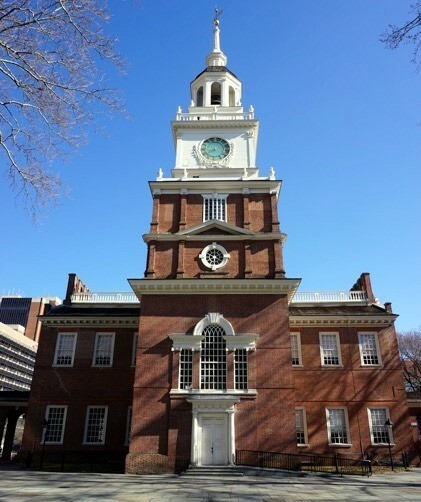 We love Gettysburg, Independence Hall and all the early American history in Philadelphia, visiting the Amish Country, and especially enjoying some chocolate and roller coasters in Hershey, PA.
Top Travel Tip: Make time to stop at Hershey Park. It is our favorite amusement park in the U.S. We love all the thrilling adult roller coasters and also love how there are rides for kids of all sizes and ages scattered throughout the park. You can read about visiting Pittsburgh here. Considered a fly over state and often overlooked, South Dakota offers endless amounts of family fun. The plains region on the east side of the state offers families the chance to play in South Dakota’s largest city, Sioux Falls with visits to beautiful Falls Park, the zoo, a science museum, the butterfly house & aquarium, and an outdoor campus where the art of making smacos (like a s’more but better) is taught. Families will also want to make a note to stop at the National Music Museum, play at the homestead of Laura Ingalls Wilder (drive a covered wagon, make corn cob babies & go to an old-fashioned school) or pop over to see the World’s Only Corn Palace. Moving towards the west side of the state the terrain changes drastically. 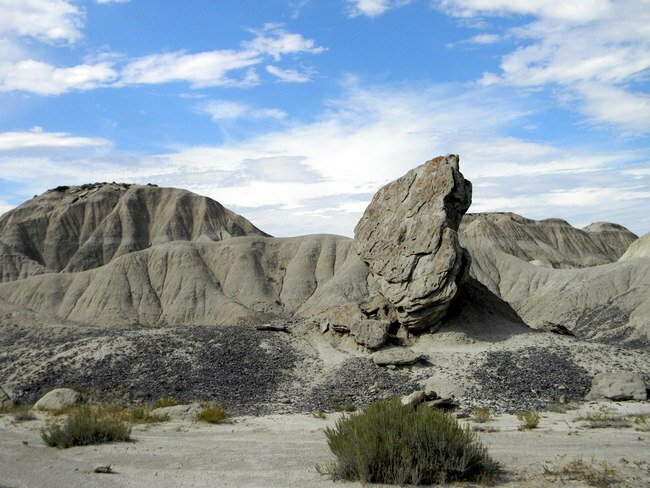 A hike through the Badlands National Park with its eroded buttes, pinnacles, and spires is a must. Farther along I-90 families can enjoy all the quirkiness of Wall Drugs including free water, 5-cent coffee, a roaring T-Rex and a Jack-A-Lope photo opp. 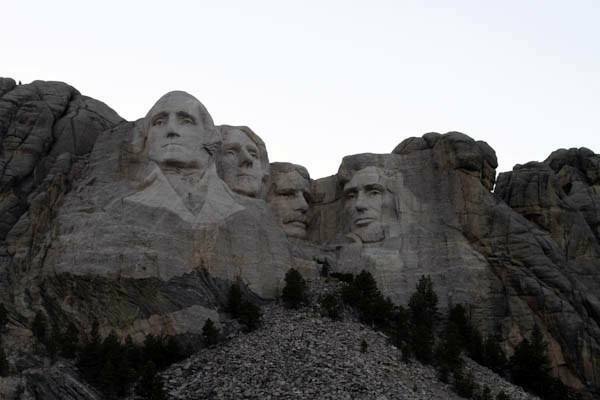 In Rapid City, families can gaze up at the presidents carved into a mountain, get caught in a buffalo traffic jam, pan for gold, visit a dinosaur park and still have plenty more to do to fill a week vacation. South Dakota is full of outdoor fun, quirky roadside attractions and loads of family entertainment that it is sure to make your family vacation memorable for years to come. Top Travel Tip: Even during the summer months, South Dakota isn’t crowded, but make sure that you plan your vacation for before or after the Sturgis motorcycle rally which brings thousands of people to the state. Tennessee is a great place for a family vacation. From the Smoky Mountains to the Mississippi River, you can find adventure, culture and fun for all ages. Comprised of 3 distinct regions (bit of trivia – that is why there are 3 stars on the state flag) each offers something different. Starting in the East, plan a few days in the Smokey Mountains visiting the National Park and the surrounding cities. 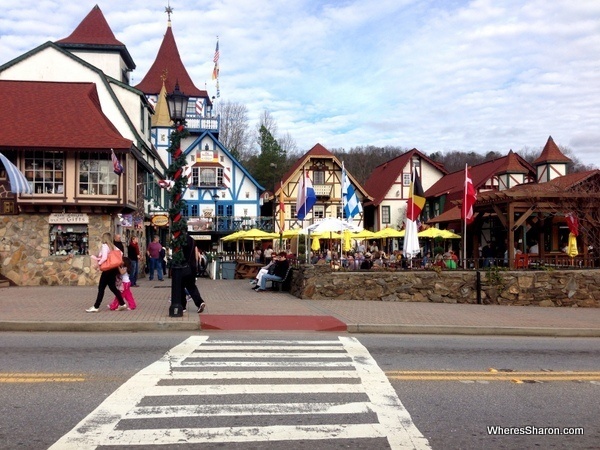 Gatlinburg, Pigeon Forge and Sevierville are full of attractions including Dollywood, Ripley’s Believe It or Not museums, the Titanic Museum and more. Enjoy the outdoors? Take your family river rafting or horseback riding. 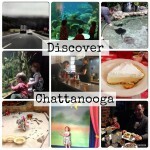 Head south to Chattanooga and visit the Tennessee State Aquarium and don’t miss Rock City. 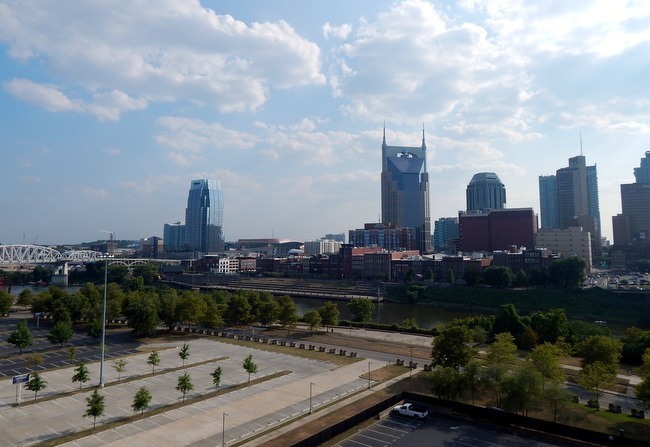 Two and a half hours to the northwest (keep in mind you cross a time zone here) is Nashville and all the music and culture that you associate with the city. Take your family to the Country Music Hall of Fame and visit the famous Opryland hotel. Walk down Broadway and 2nd Avenue and stop and listen to up and coming country music artists. You can even take your kids in during the day. Visit the Parthenon, a full size replica of the real thing built for the Tennessee Centennial Exposition in 1897. Finish your Tennessee adventure in Memphis. The National Civil Rights Museum is not to miss! Visit Graceland and then spend an afternoon on Mud Island (make sure you take swimsuits for the kids). And be sure to stop for a meal at Central BBQ. Contributed by Lauren Breeze of Nashville Fun For Families. Utah is the best state to visit in the US with kids because it is packed with natural beauty and more National Parks than any other state. 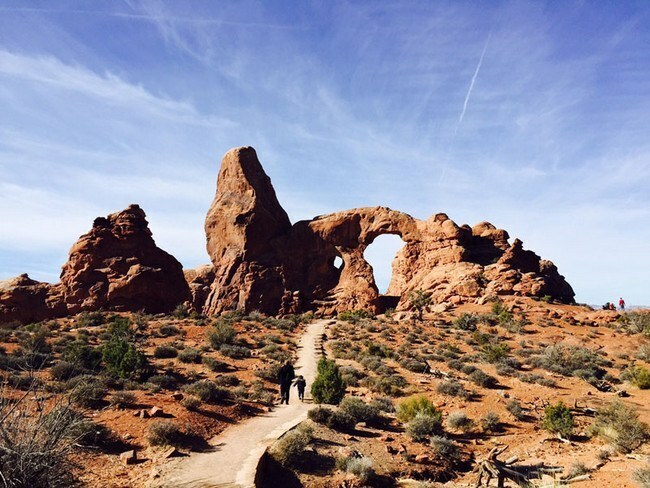 All the National Parks we visited in Utah had great kid-friendly trails for family hikes. For city lovers, Salt Lake City and Provo both have excellent natural history museums for dinosaur loving kids. What’s not to love! Top Travel Tip: Get a National Parks pass if you plan on visiting Utah. The parks here are some of the most expensive in the US so the $80 annual pass is worth purchasing. Vermont is the “Green Mountain State,” and indeed, those mountains look nice in summer and then fall, which adds shades of gold, amber, red, and purple to the foliage. Autumn attracts “leaf peepers” (and winter brings in skiers) but Vermont has more than natural beauty to offer through its state parks and private resorts. Here you can see how things are made via tours of the Rock of Ages granite quarry, the Ben & Jerry’s ice cream factory in Waterbury, the Cabot Creamery cheese factory, and various wineries, cider mills, and “sugar houses” that make maple syrup. For hands-on science experiences, visit ECHO Lake Aquarium in Burlington – right on the shores of Lake Champlain – or head to the Montshire Museum in Norwich. Looking for art? You’ll find several theatres in Burlington and art and antiques at the Shelburne Museum, which is close to the Vermont Teddy Bear Company where kids literally can “make” a new friend. The hills are alive with lots to do in Vermont! Along those lines, did you know the Trapp Family Lodge is in Vermont? Yup, Stowe is home to this year-round fun resort, founded by the von Trapp family of “The Sound of Music” fame. Contributed by Patricia of Fairfax Family Fun. With beaches, mountain and historical attractions, Virginia has it all. For families traveling with children, Virginia Beach provides clean and safe enjoyment of the Atlantic. Virginia’s Appalachians delight visitors every year with its expansive vistas. Enjoy the renowned beauty of the Skyline Drive during the peak of autumn foliage or skiing at world class Massanutten resorts. Relive American colonial and revolutionary history at Jamestown and Yorktown, meticulously restored colonial history at Historic Williamsburg and follow Civil War history at the battlefields of Appomattox, Norfolk and Richmond. 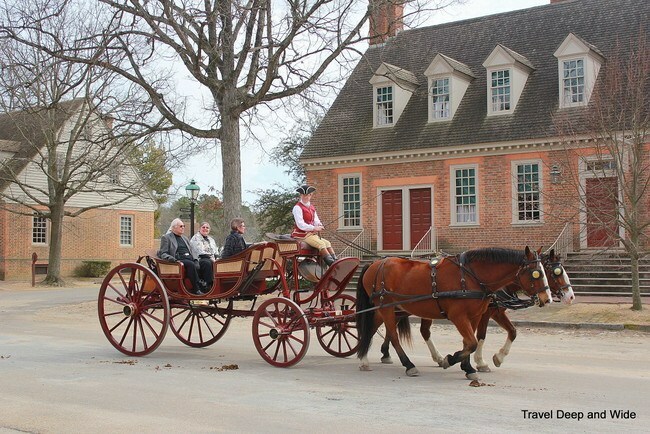 Top Travel Tip: At Colonial Williamsburg, be sure to dress your children in period costumes. It will ”Revolutionize” their understanding of history. They are available for rent at the visitor center. Contributed by Stacey-Jean of Travel Deep and Wide. 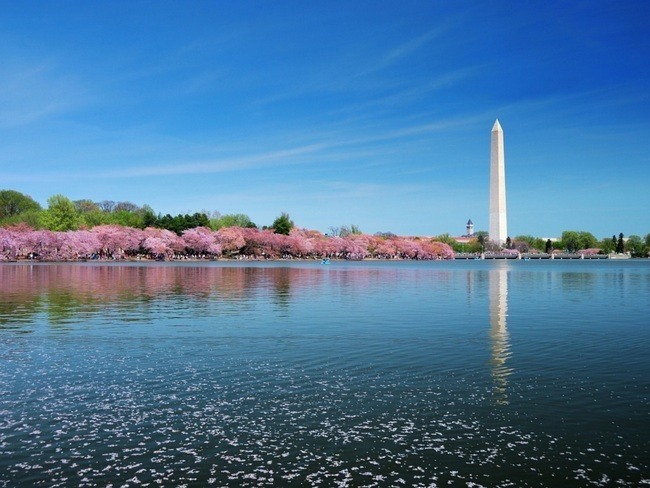 My vote for the best place to visit in the US with kids is Washington, DC. I love it because the key attractions in the city are affordable (or free! ), children will learn so much by just observing and having a great time playing around and there’s always something going on. Another bonus is that since there are always kids visiting, most residents tend to be very understanding of visitors. Top Travel Tip: Planning your “MUST DO” list in advance can help you maximize your time and save money by allowing you to map out your visit but always leave a little room for the unexpected; there is always a free event in DC and most don’t have tons of notice. Contributed by Kendra of Headband For Today. While many people associate Wisconsin with cheese and the Green Bay Packers, Lakes Michigan and Superior form two of Wisconsin’s natural boarders, for a collective 820 miles of coastline. Door County, Wisconsin’s “pinkie finger” peninsula is a favorite summertime vacation destination, featuring lighthouses, kayaking, and sandy beaches with pristine swimming conditions. Madison, Wisconsin’s State Capitol, is home to the Badgers. A funky university town brimming with food and culture, the University of Wisconsin offers several free museums for families, ranging from space to physics and geology. Depending on who you ask, Milwaukee is best known as either the “big city on the lake,” “city of neighborhoods,” of “city of festivals”. VISIT Milwaukee offers solid advice on where to take your kids if your trip brings you to Wisconsin’s largest city. And, let’s not forget the Wisconsin Dells, aka the Waterpark Capitol of America. Offering more than just waterparks, leave time to watch a water ski show, ride a “duck” on the Wisconsin river, or play eighteen holes or mini golf. You’ll find the best selection of t-shirts and other tacky souvenirs in the shops lining the main drag in the historic downtown. There you have it – 26 reasons to take your family all around the fabulous United States of America. Do you agree? What would you add? What’s your favourite destination in the USA? Great list! Thanks for putting this together–such a valuable resource for families looking to explore more throughout the states. A great list here! There are a lot of states in the USA, but each one has its own unique charm. I’m sure kids will love a lot of these attractions you’ve listed. Thanks for sharing! What a great list! Can’t wait to travel to all these places with my son. Although, you missed Washington 🙁 It’s a wonderful place for children!! Enjoyed reading about states that I have visited. Have fond memories of Rehoboth Beach in Delaware and the attractions described by the author. I am inspired to visit Montana in the summer! Thank you so much for this post! I am bookmarking and pinning it! My husband and I have been itching to get back to the States since we first visited in 2010. We knew long before we even had the girls that this was the country we really wanted to take them and your post has totally confirmed it for me. It will be a few years before we head over (once the girls are a little bigger and will actually remember it! And Dave has his next lot of long service leave to play with) but I have already begun saving and planning as I’d love to go for a good three months and see as much of the country as we can. Hi Kylie, no problem! It’s a fascinating country with just so much to see and do. We have loved our adventures in the US and look forward to seeing more. There’s just too many fabulous choices, hey!! What a wonderful list! 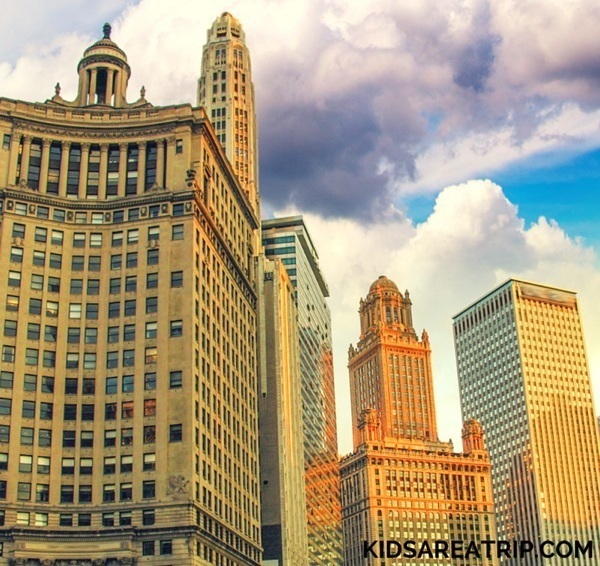 We travel with the kid and love showing them the amazing US!